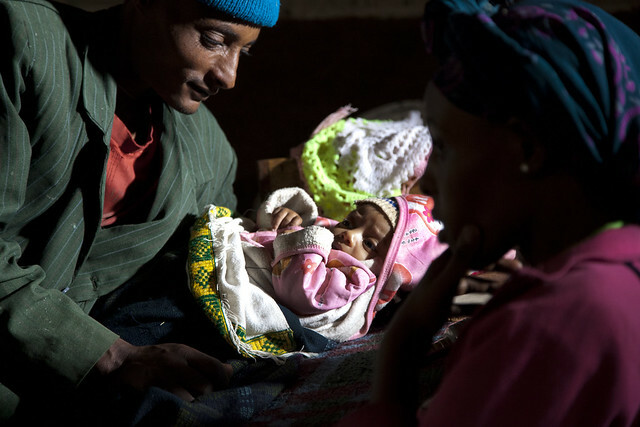 NEW YORK/Addis Ababa, 12 November 2014 – Significant declines in child deaths from pneumonia prove that strategies to defeat the disease are working, UNICEF said on the fifth World Pneumonia Day. But much more is needed to stop hundreds of thousands of children from succumbing to this preventable illness each year. 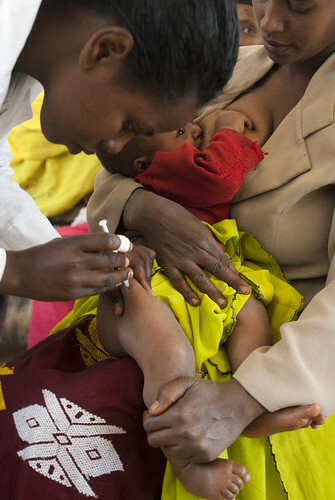 In Ethiopia, pneumonia is a leading single disease killing under-five children. It is estimated that 3,370,000 children encounter pneumonia annually which contributes to 20 per cent of all causes of deaths killing over 40,000 under-five children every year. These deaths are easily preventable and treatable through simple and cost effective interventions. Immunization, good nutrition, exclusive breast feeding, appropriate complementary feeding and hand washing are among the preventive while administration of amoxicillin dispersible tablets and other antibiotics are among the curative methods which can save lives. With the objective of increasing access to these lifesaving interventions, Ethiopia has made a policy breakthrough of introducing community based treatment of pneumonia through health extension workers in 2010. Since then over 38,000 health extension workers from nearly 15,000 health posts are equipped with the skills and supplies to treat pneumonia at community level using the integrated community case management (iCCM) approach.